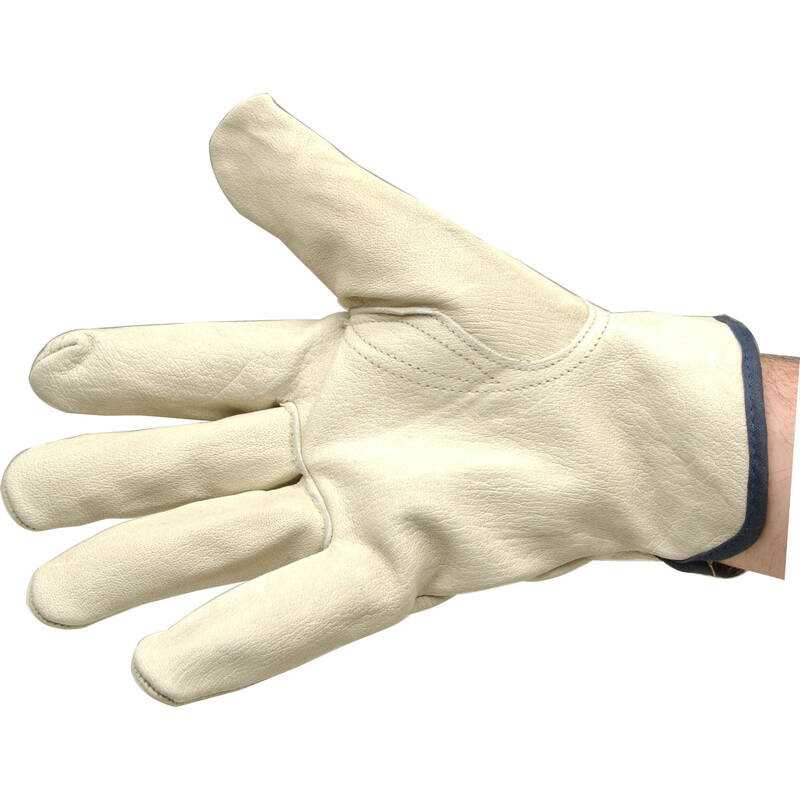 Heavy duty leather gloves prevent hands from being burned while adjusting hot lights. Box Dimensions (LxWxH) 10.3 x 5.5 x 1.1"
Leather Gloves is rated 4.5 out of 5 by 24. Rated 5 out of 5 by Dras from Keeps your hands from Burning From my experience using these glove in handling film lights, they have kept my hands from burning and work just like they're supposed to. However, they seem like they might be a bit thinner than some other ones, such as setware gloves. Rated 4 out of 5 by Book Learner from GLOVES ARE GOOD VALUE The gloves are soft leather and reasonably thick. But I think in retrospect, I would have tried for a darker color. The off-white color is too easy to get dirty. They are a good value for the price. Rated 3 out of 5 by ScarMedia from Not-So-Heavy Duty Gloves The gloves are pretty thin and light-weight. May be ok for handling the majority of hot lights but I don't get the most comfortable feeling wearing these. Rated 5 out of 5 by B Sim from Work Great Used many times with Arri 650 and 750, work terrific. Rated 5 out of 5 by CNJ Photography from Useful when managing hot lights I bought several Lowell Tota lights with 750 and 300 watt bulbs. While shooting video those lights heat up. These gloves ensure your hands are well protected from the heat while adjusting and handling the lights. They are made of good quality leather. Rated 4 out of 5 by Anonymous from Good but not amazing For the price, these do the trick. But there are more heat resistant gloves out there. That said, these have been good enough so far. And for the price, I think I got what I paid for. Rated 4 out of 5 by LD from NY from Good for lights Used them for handling lights, felt the heat b/c they are a little thin but never felt like I was a risk. Rated 4 out of 5 by Jason from Gloves! Good solid gloves, not so much dexterity but they will protect your hands from hot lights. Are these sufficient protection to handle high wattage (650 or 1k) tungsten fresnels? Yes. I got Profoto 1k Tungsten. It's HOT! Use it all the time.